Quickie post to commemorate my coming home from London! It was suggested that I post this little ballad and you know, it was a good one! So I'm coming after a week plus in London and man it was a great trip. Got to see a lot of awesome shows, went to a really cool sound/film conference, did a lot of adventuring, but now it's time to come home! Ozzy really doesn't need an introduction (Sabbath, solo career, reality TV star). Must say I hadn't heard this song much before, but it fits quite nicely to the end of this trip. 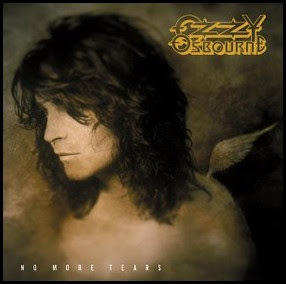 An epic and personal power ballad complete with acoustic guitar passages, heavy metal powerhousing, an emotional and melodic solo, Ozzy's signature crooning voice, & Zakk Wylde's signature guitar squeals for extra metalness. As a sucker for power ballads (especially those with epic solos like in this one), I'm enjoying this quite a bit! Anyways, gotta catch a plane, mama, I'm coming home!